Somewhere around 1824, three brothers debarked at Mangalore, far from their home in Shiraz, the glittering, garden city filled with art, literature and the Persian poetry of Hafiz and Saadi. Along with them sailed a string of 200 Arab horses bought en route at the bustling commercial port town of Bushehr in south-western Iran. They intended to trade them in Bangalore where there was apparently a great demand. Their journey continued across the perilous Western Ghats, through dense forests and the turbulent politics of the Deccan. Family stories say that as they passed through Coorg, the hapless Persians were imprisoned on suspicion of being British agents in disguise, only to be released eventually by East India Company troops. They then cautiously made their way to Bangalore via Mysore and the horses fetched a good price at the British Remount Depot in Mathigiri, Hosur. Seated from the left: Mohd. Qasim (Aga Jan), Abdul Hussain, Aga Ali Asker and Aga Abdullah. Standing first from left is Aga Abbas Ali, Aga Mohd. Taqi, Aga Mohd. Bawkher, Aga Mohd.Nabi. On the ground: Mohd.Jaffer and Mohd Saduck. Image courtesy: Mirza Habib Aga Shirazi. Aga Ali Asker settled in quickly and married Khadu Bebe, the sister of Abdul Rehman from Channapatna. She passed away sometime later, leaving behind two daughters and two sons; Mohd. Bawkher and Abdul Hussain, both of whom grew to ably assist their father in his business dealings. While on work in Bombay a year later, Aga Ali Asker’s business acquaintance and friend Mohd. Hashim Namazi introduced him to Bebe Shahr Banu, daughter of Haji Ali Reza Shoostari. They were married in Bombay soon after. Artistic, administrative and commercial migrations from Iran to India had been fairly de rigeur for centuries, and her paternal grandfather too had arrived here from Shoostar in Iran to settle in Hyderabad. Her paternal uncle, Aga Mohd. Shoostari was the Subedar at Aurangabad and she was born in Jalna, Maharashtra. Aga Ali Asker was now an influential businessman and a gentleman who traded in horses. He had a distinguished clientele and friends that included the British Commissioner, Sir Mark Cubbon, Hassan Ali Shah, the first Aga Khan and HRH, the Maharaja of Mysore, Mummadi Krishnaraja Wodeyar III who received him at the Mysore durbar with honour. He was also presented to HRH, the Prince of Wales (later Edward VIII) during a ceremonial visit to Mysore around 1889. This impeccably dressed man, who it is said, often wore `English socks and shoes’ under his traditional Persian robes, owned large tracts of land in High Grounds and Richmond Town and built over 100 bungalows across the city, including the current Governor’s Residence, the State Guest House- Balabrooie and Leela Nivas off Cunningham Crescent. He also built five beautiful bungalows off Cunningham Road and named them Behesht, Aliabad, Hussainabad, Azimabad and Askerabad. They are said to have been the names of his father’s houses in Shiraz.His own palatial home, a large, two-storied pistachio coloured building, was till recently opposite Fatima Bakery on Hosur Road in an area called Arab Lines, because of the horses that were stabled here. It was demolished recently. When his beloved friend Karam Khan died at the age of 33 in Madras, a grief stricken Aga Ali Asker bought land to bury him and established what is now the Shia Persian Cemetery on Hosur Road. A few years later, Aga Ali Asker’s elder brother, Mashadi Qasim, who was on a business visit to Mysore went swimming in the Cauvery before breakfast and never returned. His body was found downstream from their camp at Srirangapatna and he too, along with other members of the family, lies buried here. To meet the needs of a growing community, Aga Ali Asker willed that a mosque be built nearby for a sum of Rs.800. This wish was executed after his demise in 1891, when the Masjid-e-Askari was built in Johnson Market (1909). He extended generous financial support to friends and cherished his family deeply. The story goes that he had a bakery of his own built in Richmond Town where cooks were employed to prepare meals. These were delivered daily to his children in the homes they had each received as inheritance. He enjoyed taking his family on a picnic once a week. Attendants went on a day earlier to prepare the place. Barbecues were set up and massive pans were hung over fires to cater to a family that had now grown to extremely large proportions. On most evenings, everyone gathered together around him while one of his sons (usually Aga Abdulla) would translate the English newspaper out aloud. The area’s narrow lanes remain rife with memories. Arab Lines has a street named after Aga Abdulla, who endowed the now crumbling Sadut Dispensary in memory of his wife, Sadut- un- Nisa, the granddaughter of Karam Khan. She was reputed to be a crack shot with weapons and a first class rider herself. The beautifully maintained Sadut Gardens still remains at the corner of the Johnson Market meat shops. Another son, Aga Abbas Ali, lends his name to a road in Ulsoor. Bebe Shahr Banu, herself a cultured lady, was fluent in Urdu and composed many `nauhas‘ (elegies) under a nom-de-plume. She succumbed to a plague epidemic in Bangalore in the late 19th century but endowed her private cottage, located within the compound of their home, to serve as a community Ashurkhana for the Azadari (mourning) during the Islamic month of Moharrum. The Shia community of Bangalore continues to gather here over a hundred years later. While members of the family still distinguish themselves in Bangalore, India and overseas, Aga Ali Asker’s legacy is rooted in the city. Mohd. Qasim (Aga Jan, d.1909), his eldest son from Bebe Shahr Banu was appointed ADC to the Mysore Maharaja, Chamaraja Wodeyar X and later the Dowager Maharani. He was also in charge of the Mahraja’s entire racing string. Aga Jan’s youngest son, M Ali Asker II, too, was prominent among Bangalore’s horse breeding and racing circuits. But the eldest, Amin-ul-Mulk Sir Mirza M Ismail (1883-1959), needs no introduction to those familiar with city history. Classmate to HRH, Krishnaraja Wodeyar IV, at the Royal High School, he was the farsighted Diwan of Mysore, Hyderabad and Prime Minister of Jaipur. His administrative and aesthetic vision influenced the `golden age’ of princely Mysore (including planning the Brindavan Gardens) and laid the foundation for a modern Bangalore with graceful public infrastructure, wide, flowering avenues and landscaped parks. It continues to linger in public memory as the long gone Garden City. Aga Ali Asker arrived seeking new opportunities, only to settle in the city and make it his home. His name remains irrevocably linked with that of Bangalore. Ali Asker Road may be a quiet thoroughfare that gets you from Infantry Road to Cunningham Road in minutes. But it is named after a man whose long journey from Persia left a mark on the city forever. This story was originally published in the Bangalore Mirror, August 11th, 2014. read it here. The memories and information in this story are a part of `A remembered city’, a project that maps Bangalore through the personal narratives of its people. My name is Basant Poddar and we happened to live in the famed Ali Asker Road –No.2, ALI ASKER ROAD – (BEHESHT) one of the master pieces in architecture ( from 1961 till mid 1980’s). Tragically the property was partially acquired by the Govt of Karnataka for building a water tank. I have many photographs which I would like to share with you. I am collating the photographs and will forward to you by Friday. I am incidentally building a replica of the same property near Devanahalli. Since I lived in this property for 25 years and every nook and corner was known to me. Hopefully I should be able to create a comparable replica. Dear Mr. Poddar, thank you so much for writing in and sharing this with me. I look forward to hearing from you soon. I am trying to compile this blog archive of stories about the city and your contribution will be of immense value to help fill in the gaps about our long gone Bangalore. I also look forward to the day when you will be able to once again live in your beautiful home in Devanahalli. If you are a part of the Ali Asker family reading this, please do write in here with more information, memories and details of the extended family that can be shared with all our readers on the Cloud. This is an archive and your participation is invaluable.Thank you. Hi there. Very interesting indeed. I believe Aga Ali Asker was my great grandfather and Aga Abdulla my grandfather. Would be nice to visit Bangalore one day and see these many famous streets. We’re from the Pakistani branch of the family but now in Australia. I am from the Richmond Town branch of the family. Would be nice to see you all here some day. Aga Ali Asker is my great-great-great grandfather. 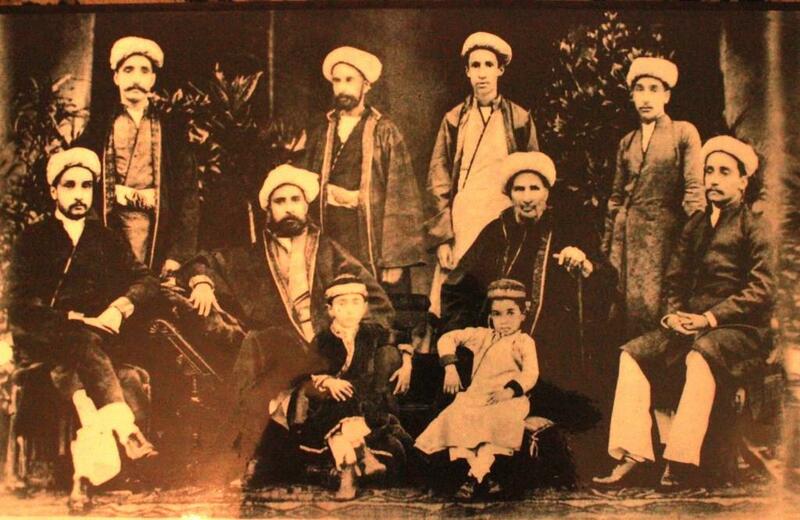 Which makes Aga Abdullah my great-great grand uncle and Sir Mirza Ismail, my great-grand uncle. My maternal great grand father, Agha Ali Asker II (again) was his youngest brother. Salaam.How wonderful to find so many family members from around the world converging here!My great-great grandfather was Mohd.Khasim (Aga Jan) whose youngest son Aga Ali Asker II was my grandmother Bebe Khanum’s father. I am Agha Ali Asker great grandson based in London and just now live in Karachi. How proud I am to be his great grandson. His grandson – Agha Shahi served as Pakistan’s foreign minister for 5-6 years. He was a great intellectual and among then”best” foreign ministers that Pakistan has produced. A beautiful road is named after him. This was soon after his demise, in recognition for his brilliant independent minded work and comtributions for Pakistan. Salaam and so happy to have yet another member of our family write in here. Thank you so much for the information. I am the great-grand daughter from his grandson #Ali Asker II whose daughter Bebe Khanum was my much loved grandmother. This is so beautifully written and nice to see people from the family responding here 200 years after the history of this place…. if any of you have old film slides feel free to contact me since i can convert them to digital for you. I do this out of my own interest to archive old slide film positives and negativs so we all have this documented for our future generations. Hi Arvind, so lovely of you to respond and make such a kind offer.Will definitely get in touch if we manage to find slides..still trying to collect family photographs to begin with!